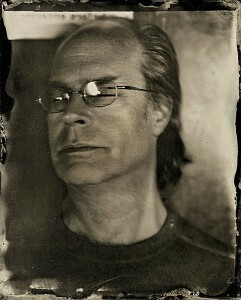 Edward Bateman is an artist and Assistant Professor in the Department of Art and Art History at the University of Utah. He received his MFA from the University of Utah in 2003 and joined the faculty in 2008. That same year he was awarded the Salt Lake City Mayor’s Award for his contributions to the arts. In 2009, Nazraeli Press released a book of his work titled Mechanical Brides of the Uncanny, which is in the collections of The Metropolitan Museum of Art, Harvard University, Art Institute of Chicago, Stanford University, Getty Research Institute, New York University, Columbia University, Amon Carter Museum Library, and George Eastman House, among others. In 2010, he was a visiting professor at the Kaunas Faculty of the Vilnius Art Academy in Lithuania. In 2012, he was profiled in the UK publication Printmaking Today, the authorized journal of the Royal Society of Painter-Printmakers. Also in 2012, he was one of four professors recognized by the University of Utah for an Early Career Teaching Award. His work has been shown internationally in twenty-two exhibitions in seventeen countries and is included in the collections of the Museum of Fine Arts Houston, Getty Research, the Pforzheimer Collection of the New York Public Library, Cornell University, Brown University, and others.